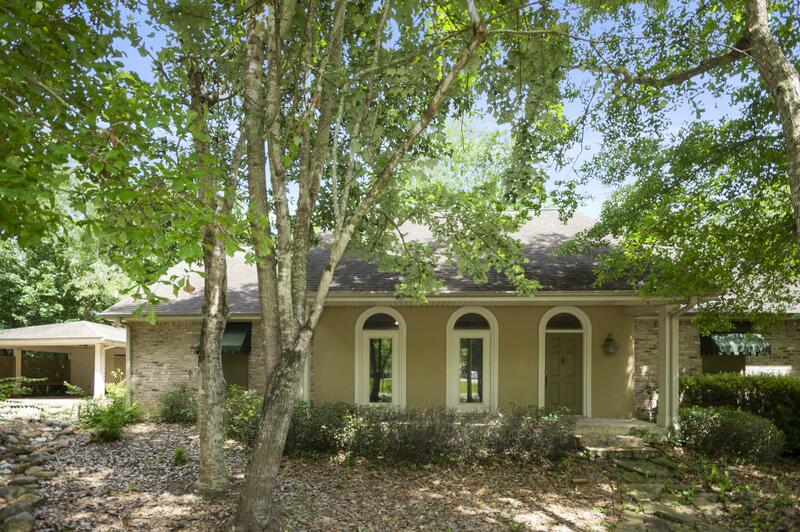 Surrounded by shady oaks, this home is ideally positioned for serene and comfortable living. The spacious living room area with soaring beamed ceilings and plenty of windows gives your new home a light, airy atmosphere, and in winter, an open fireplace keeps everyone cozy. Whip up a yummy treat in your large and user-friendly kitchen, complete with island and built-in cooktop. Every evening feels like a camping adventure with your crackling fireplace and tranquil nature views in the relaxing master suite. The calming master bathroom provides plenty of storage space and allows plenty of room for unwinding after a long day. Invite your friends for a barbecue on your back deck or simply enjoy nature and a cup of coffee in your own backyard. Come and explore this unique and spacious property!